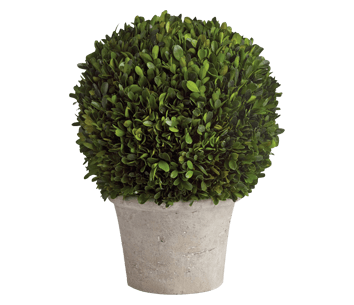 At Living Alfresco, we create beautiful outdoor spaces for our clients that are both personalized and practical in style. 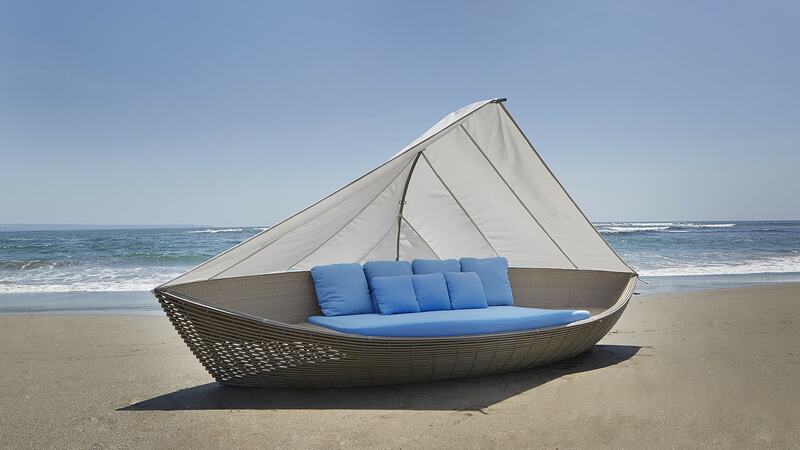 We offer a growing collection of outdoor furnishings, sourced from top-of-the line brands that provide a new standard and distinct style to outdoor living. Available by appointment, we help design a space that is a livable extension of your home. 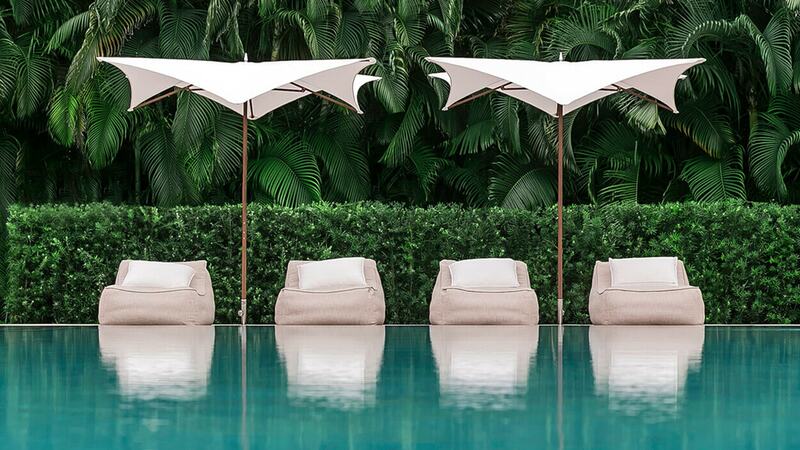 Whether that means poolside relaxation or outdoor entertainment, Living Alfresco specializes in complementing your personal style and functional needs. Our design process includes a careful curation of high-quality products, designer expertise and customer support for every step along the way. 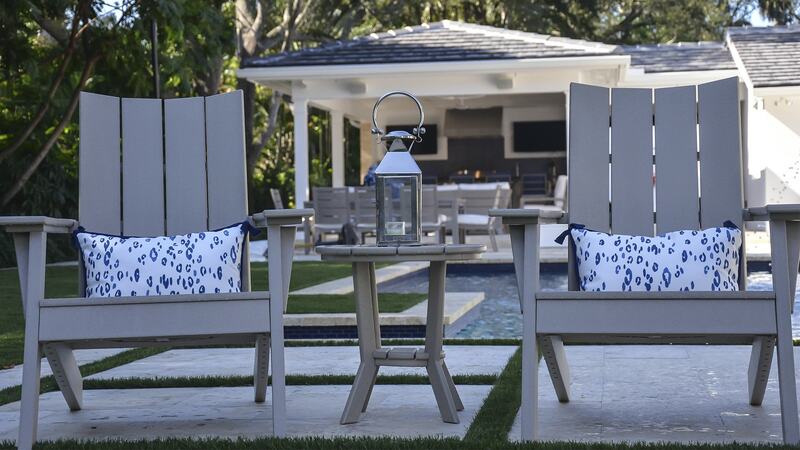 Living Alfresco creates outdoor living spaces using an array of high-end furniture. 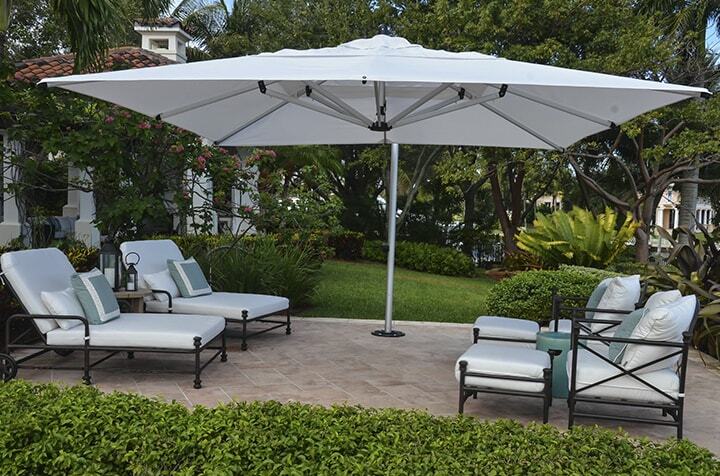 The frames, fabrics, and finishes are engineered to withstand the extreme elements of South Florida. Our selections include contemporary, transitional and traditional designs that complement your interior style. Choose from an array of quality synthetic materials, aluminums and FSC Certified hardwoods. 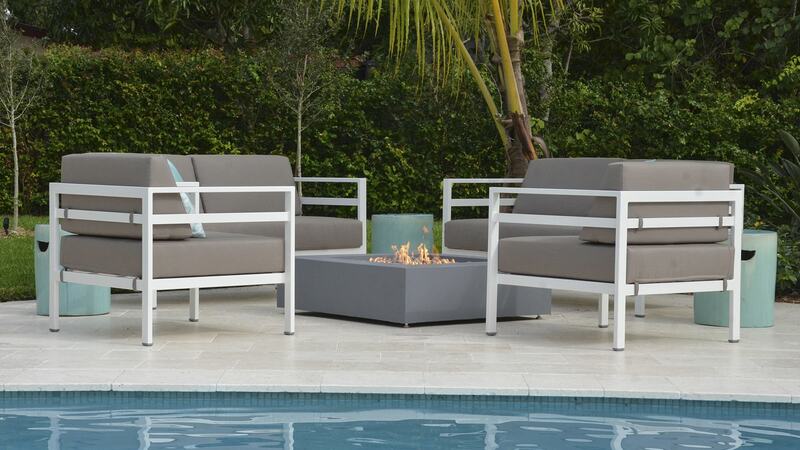 Let Living Alfresco assist you in putting together a quality outdoor living space – designed to last. 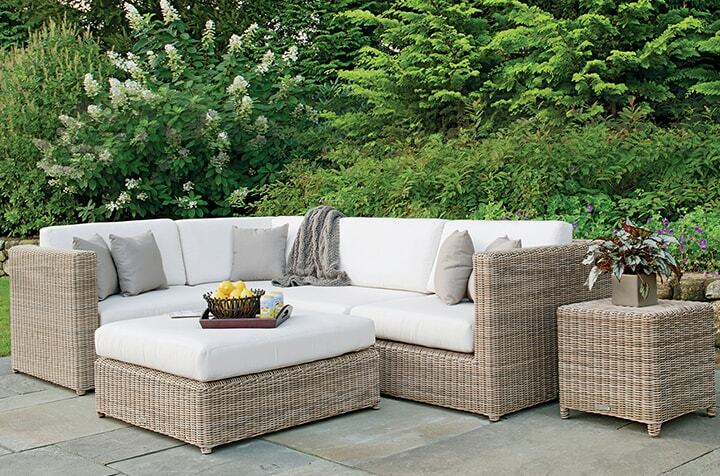 A leader in synthetic wicker patio furniture, Ebel is synonymous with quality. 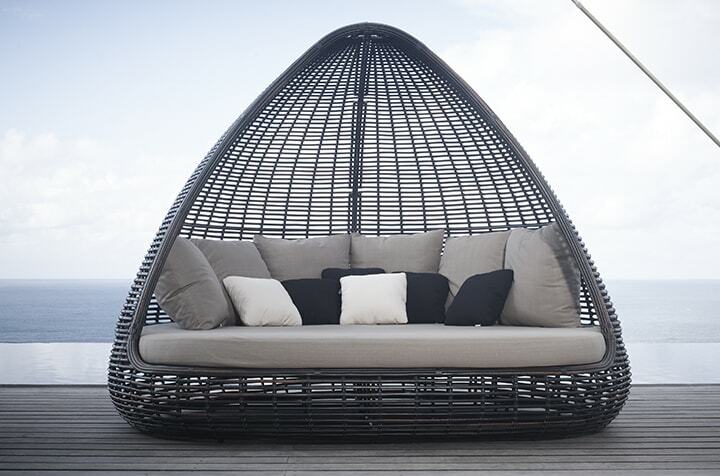 Using Hularo synthetic wicker that’s been infused with UV inhibitors, this furniture is designed to withstand any environment. 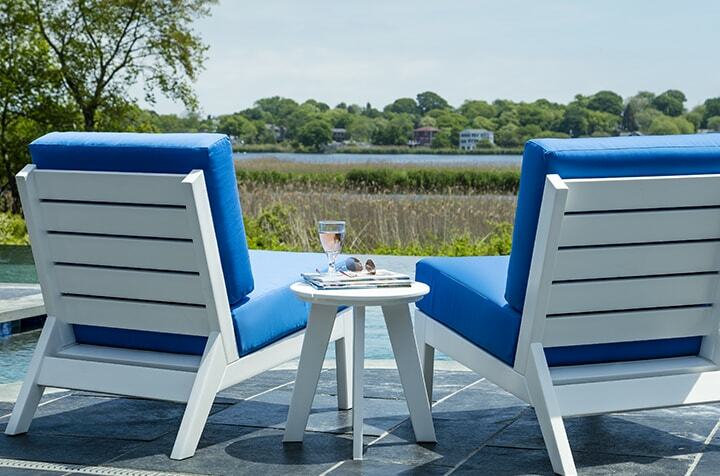 Kingsley Bate is one of America’s leading manufacturers of teak outdoor furniture. The designs are made to withstand the rigors of changing weather, while maintaining their beautiful appearance. 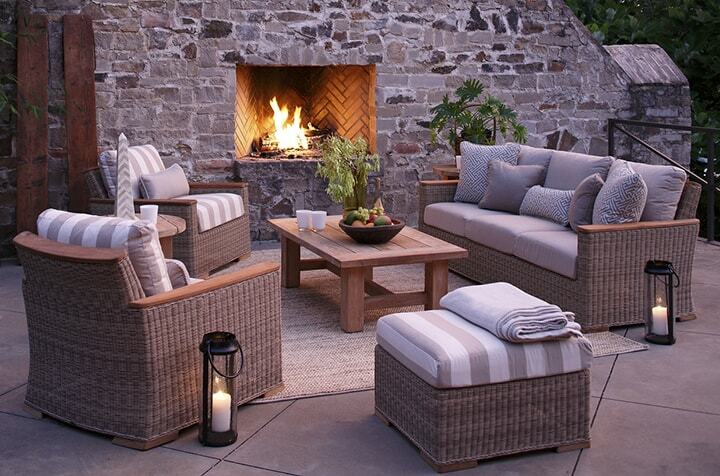 The furniture is made of premium quality teak or all-weather wicker and is constructed to meet the highest standards. 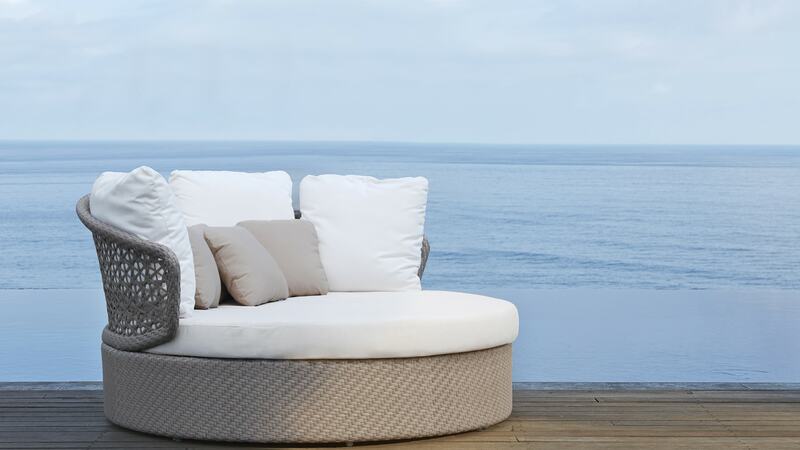 Skyline Design offers high-end patio furniture in a varied mix of ultra-contemporary distinctive styles. They pride themselves on producing elegant and lasting furniture suitable for both commercial and residential settings. Pavilion designs new aluminum products and now offers more than 30 unique collections that range from cutting edge contemporary to elegant traditional. 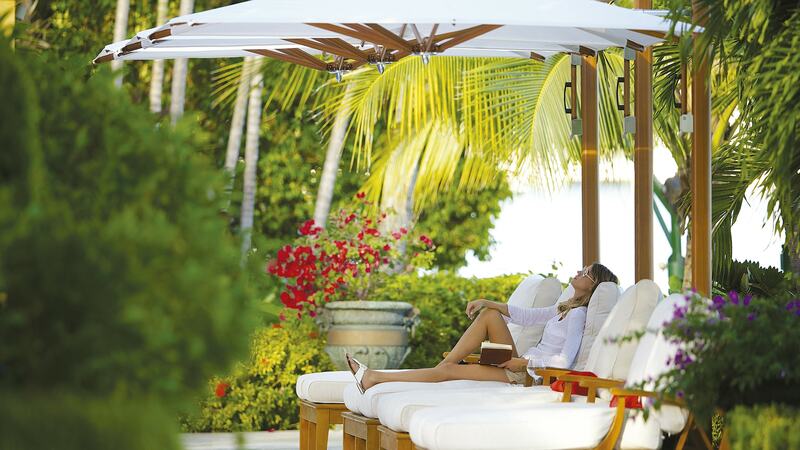 Pavilion is well known to designers for their custom capabilities..
For over 20 years, TUUCI has created the most innovative, unique and stylish shade platforms in the industry. 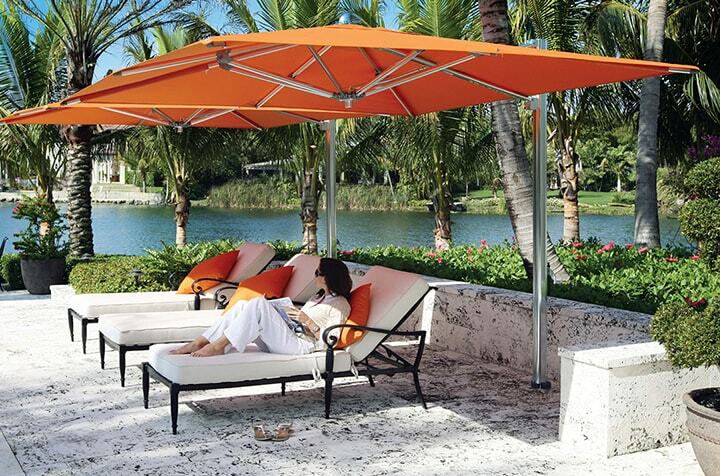 Every aspect of a TUUCI umbrella is made with quality and durability in mind. 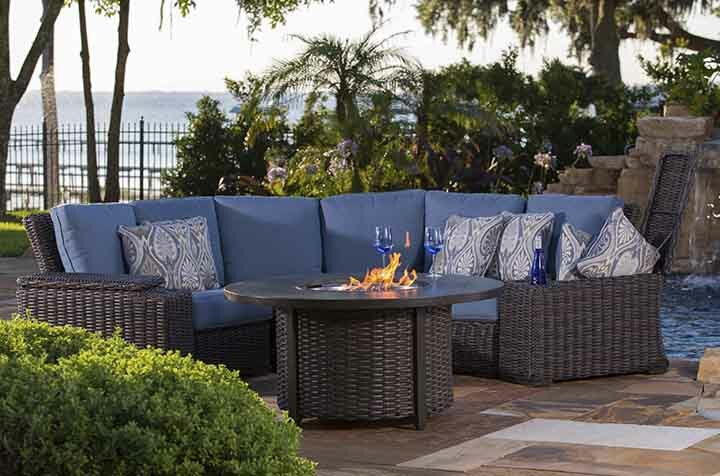 Summer Classics is a premier, luxury outdoor furniture manufacturer of modern, high quality resin wicker, cast aluminum, wrought aluminum, teak, and wrought iron patio furniture, with outdoor cushions from an exclusive line of outdoor fabrics. Crafted from beautiful and durable Ipe timber, Jensen Leisure produces classic furniture that will be handed down through the generations. Certified by the Rainforest Alliance as 100% FSC pure timber, you can trust the Jensen brand for environmental responsibility, as well as for strong, dense furniture with a high wear durability. 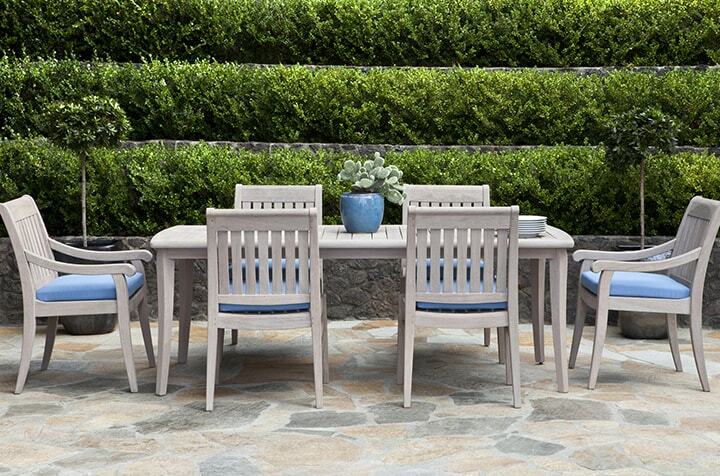 Jensen Leisure furniture can be left outside all year long and the pure wood will weather beautifully. "It was a pleasure to work with Betsy and Tiffany. They did a fabulous job recommending quality furniture and fabric for my patio. They came to the house and accepted the deliveries and set up everything. We lived on our patio last year and wish we had done this much earlier. Our patio has become an extension of our home. Thank you for all of your help!" Copyright @ 2017 Living Alfresco All rights reserved.